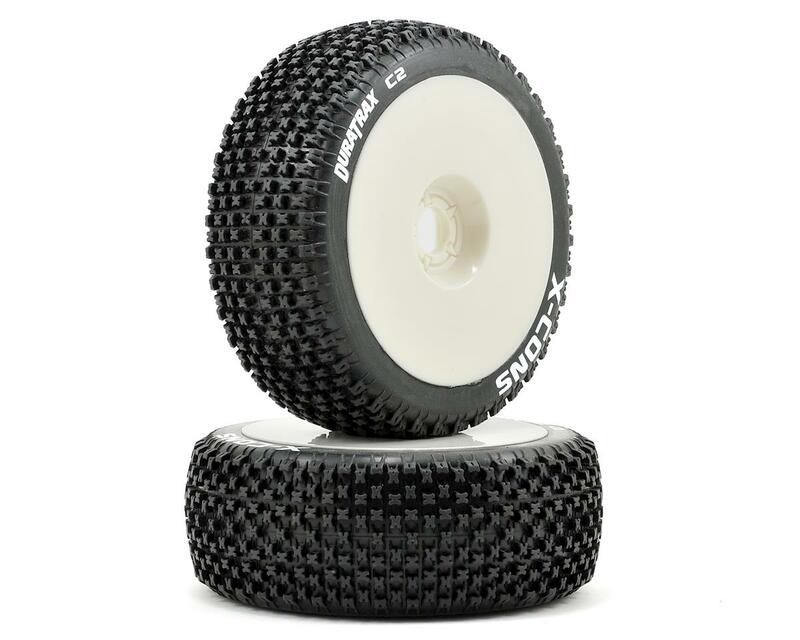 This is a set of two DuraTrax Pre-Mounted X-Cons 1/8 Buggy Tires in C2 compound. These tires are recommended as an all purpose tire, offering good performance on loose and loamy tracks as well as hard packed, abrasive track surfaces. 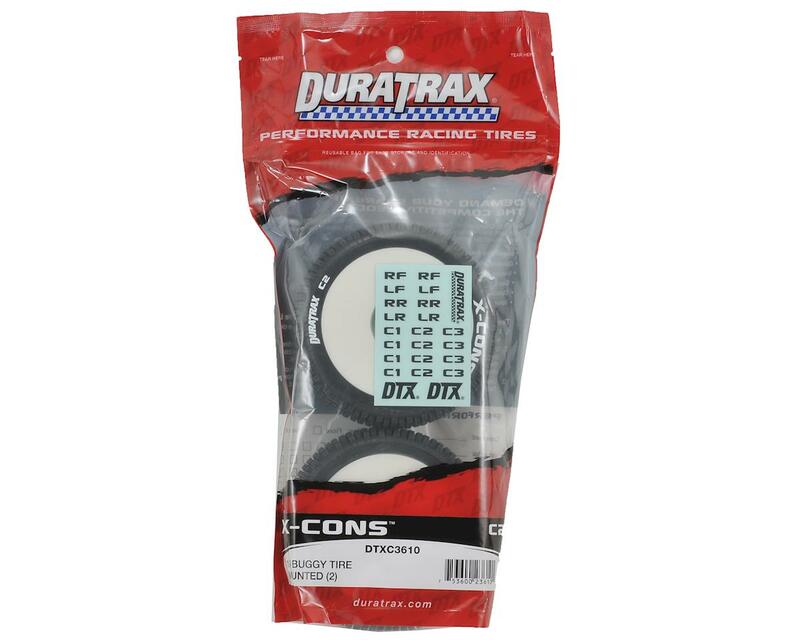 DuraTrax Performance Tires deliver top-end traction and durable construction so you can keep running laps, long after your competition has limped to the pits. DuraTrax wheels feature a unique “star” pattern hub that grips the nut better than traditional styles. Ordered these pre mounts as a practice long wear tire when I built my EB48.4. I've used the truggy version on my ET48.3 and I really like them. Sure, you may not win any races with them, but they last a long time and are good quality plus the price is right. Great all around dirt tire. Never had the glue fail either.